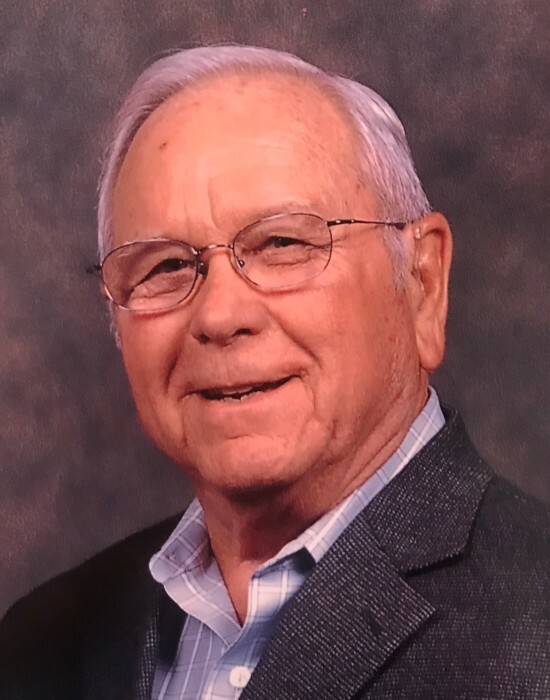 Floyd Wendell Hollingsworth, 86, of Canyon, Texas, died Thursday, November 29, 2018. Memorial services will be at 4:00 p.m. Saturday, December 1 at University Church of Christ, 3400 Conner Dr, Canyon, Texas. Arrangements are by Brooks Funeral Directors. Floyd was born in Sayre, OK on March 21, 1932, to Bobbie Lee Hollingsworth and Vera Mae Clancy Hollingsworth. He was raised in Hollis, Ok. At the age of 17 as a senior in high school, Floyd volunteered to serve in the U.S. Army during the Korean War. He proudly served for three years. Upon returning to Hollis, he graduated from Hollis High School and married the love of his life Deloria Sue Cummins on December 25, 1953. They would have celebrated their 65th wedding anniversary on Christmas. Floyd attended Oklahoma A&M Tech School where he obtained a diesel mechanic degree. Floyd and Sue moved to Amarillo in 1956 where he began his career with Bruckner Truck Sales, Inc. Floyd retired in June of 1998 after 42 years of employment. He was the Vice President and Director of Parts and Service. Floyd and Sue moved to White Fence Farms in 1980 where they built the home of their dreams. Floyd loved the Lord and his family. He was a member of University Church of Christ where he served as a deacon. He was an avid fisherman and hunter. He enjoyed spending time with family and friends camping and fishing. He was a fine Christian example and touched many lives with his love and kindness. He was preceded in death by his parents Vera and Bob Hollingsworth, a daughter, Debbie Hollingsworth, a brother Claude Hollingsworth and a sister Mary Seago. Survivors include his wife, Sue Hollingsworth, a sister, Bobbie Morrison of Heavener, OK, three sons, Brad Hollingsworth and wife Kelly of Canyon, Thad Hollingsworth of Amarillo, Chad Hollingsworth and wife Jana of Amarillo, a daughter, Holly Coats of Amarillo, 14 grandchildren, and 13 great grandchildren. Memorials can be made to High Plains Children’s Home, P.O. Box 7448, Amarillo, TX 79114.